A traditional brew leads to cancer cure. 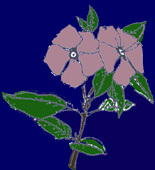 The rosy periwinkle originated in Madagascar, a large island off the eastern coast of Africa. Africans used it primarily to treat diabetes. French explorers brought it back to the royal court in 1757. The herb quickly spread around the world where it was used for curing sore throat, pleurisy, dysentery, and diabetes. This plant is toxic. In the 1950s scientists experimented with periwinkles, looking for a diabetes cure. Instead they found a cancer cure. Before 1957 childhood leukemia was a death sentence--only 5% of its vicitims lived. Today 84% of them survive, thanks to this plant.